It’s awfully tempting to think you’ve finally found the magic innovation that helps generate more sales. But there’s no one new thing that creates lasting success. Instead, being truly innovative means making changes in your established routines and bringing in new methods and ideas. The fundamental processes that you need to focus on are choosing and using appropriate technology; doing research to understand your competitive marketplace; and crafting a marketing and sales plan, including advertising, to generate the interest of potential buyers. Access to technology offers many things that seem to be new, but don’t get distracted by shiny objects. Do remember the quality of the input determines the quality of the output. Not all technology is right for you, despite its impressive appearance. — 3-D rendering, available since the 1950s, is the most popular technology used by builders in their sales and marketing endeavors. Use of it has been fostered by architects and interior designers. It’s a great tool, but it’s only one tool—not a silver bullet. — Augmented reality (AR) and virtual reality (VR) are technologies that can be used throughout the sales process. Virtual reality immerses the user in a new environment. Augmented reality, on the other hand, takes that which already exists and adds layers of enhancements, offering the option to “design” a model home and allow the customer to experience interior and exterior possibilities. Though more developed in recent years, they aren’t new concepts. The first head-mounted display system was created in 1968, with other systems of more rudimentary technology used even before that. As effective as these applications may appear to be, they simply scratch the surface of all the segments a strategically designed system must include an elevated customer experience and seamless sales process. To create the sales environment of your future means to offer a holistic customer experience. To do this, you need to draw from a varied toolbox—digital and analog, automated and in-person, deploying research that offers insight into ever-evolving customer tastes and preferences. Builders Design CEO Joe Duffus believes in innovation. His interior design company maintains up-to-date research that helps uncover buyer preferences related to trends, colors, textures, and finishes, as well as understanding the motivations of buyers who are in various life stages. This allows Builders Design to create models and a sales center that hit the company’s target market. Duffus envisions that technology being used in a way that enables seamless integrated efforts between teams and offers solutions. New home sales is a retail business, and the purchase is an emotional one. Giving a customer the experience of seeing your array of design concepts will help the sales professional convert a model visitor into a buyer. • Interdependence: All team members must have access to all segments of a builder’s presentation in order to create a great customer experience. • Continuity and consistency: Brand and image must be in sync. • Great customer relationship management (CRM) software: Most builders should have all required information and reports available in a stand-alone CRM system. Most often, marketing efforts are implemented by several people using different channels—social media, advertising, website, online sales, real estate agent outreach, and more. It is critical to coordinate these activities and ensure that they coincide with the overall objective of the mission—to increase sales revenue while reducing unnecessary costs. Otherwise, they will be counterproductive. 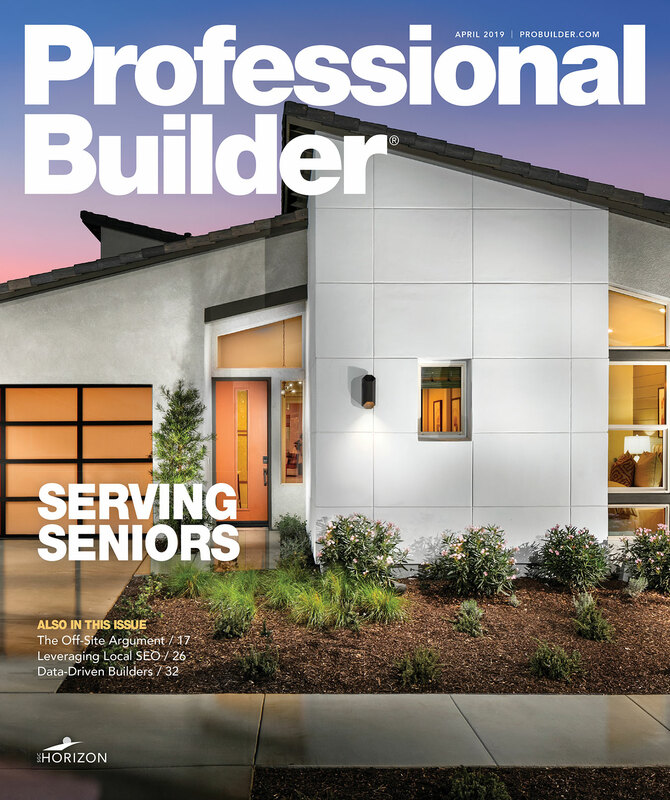 David Miles, who won NAHB’s 2016 Legend Award for excellence in new home marketing, advocates for specialization and playing to strengths. Miles, president of real estate advertising agency Milesbrand, stresses the urgency of continuity. When various media and methods are combined, the benefits and uses are endless: a laptop or an iPad; digital displays on walls; websites; kiosks for 24/7 customer interaction; the full AR or VR immersive experience. All are scalable and can be implemented in small stages over time. Together, they make for a powerful mix.